Drum Corps International will be exhibiting at the 2007 Texas Music Educators Association (TMEA) Clinic/Convention at the Henry B. Gonzalez Convention Center in San Antonio, Feb. 15-17. 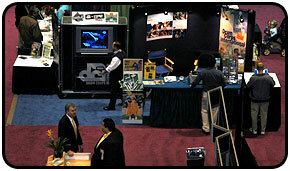 The 2007 TMEA Clinic/Convention features workshops for band, orchestra, vocal, elementary and college educators, concerts, and two exhibit halls filled with booths representing all facets of the music education industry. The Drum Corps International booth number is 1074 located in exhibit hall C. Stop by to check out dates for DCI Summer Music Games events scheduled for Texas this summer, or for the latest DVDs from the DCI collection including World Championships and Legacy Collection products. Visit www.tmea.org for more information about this convention.